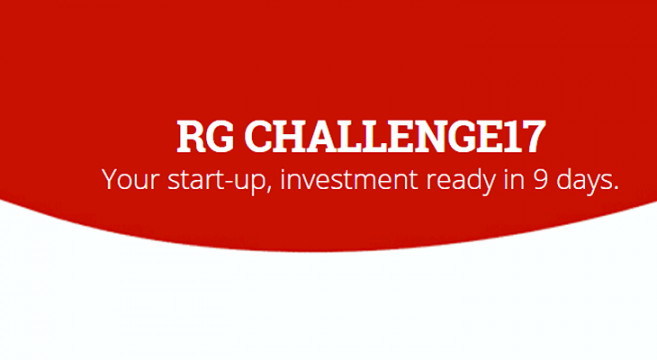 RG Challenge17 is Reload Greece’s intensive 9-day Accelerator programme, which runs in London from 28th June – 7th July 2017. 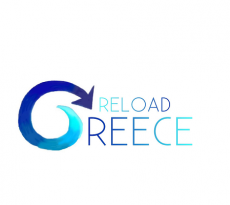 Reload Greece announced the ten finalist startup teams from the UK and Greece who will be working towards being ready to present in front of investors in search of their first round of investment of £50-£250k. Reload Greece had over sixty applications from start-up teams from the UK, Greece and around the world across a broad range of business sectors. The applications were judged on a rigorous criteria looking at each startup’s idea, their team and their Reload Greece factor (the socio-economic impact the business will have on their home country). The finalist startups come from the EdTech, HealthTech, Manufacturing, and Tourism sectors and they have great potential to have a positive impact on Greece, in terms of job creation, growing expertise and reducing negative environmental impacts. Two UK based teams will join from the Reload Greece Young Entrepreneurs’ Programme and eight teams joined the programme through the Reload Greece global call and the programme’s partners. Collaborating and developing close ties with the ecosystem in Greece has always been key towards fulfilling our mission of bridging Greece with the rest of the world. This year marks the beginning of three very important collaborations with key players of the Greek entrepreneurial scene. Four of the participating teams are coming from ‘be finnovative’ and ‘Business Seeds’ accelerators of the National Bank of Greece and the ‘egg’ accelerator of Eurobank. Each accelerator selected one winning team to win a place on RG Challenge17. Keen to explore new markets and access funding from London’s investor community, businesses coming from Greece will gain an insight into how the UK investor ecosystem works and how to best position their pitch in order to attract investors’ attention. The teams of entrepreneurs will complete an intensive 9-day programme providing them with the skills, tools and contacts to become investment ready. The programme consists of business modelling; industry deep dives; investment, legal, finance and pitch master classes, all delivered and supported by international high profile mentors. On the final day of the programme, finalists will pitch to investor judges and an international audience at the Dragons’ Den event at The Shard. Tickets to the final pitch event at The Shard on Thursday 6th July are available now at https://www.eventora.com/en/Events/dragons-den-event. GIVMED is a fast, reliable and appropriate way to donate the medicines you don’t need to the homeless, refugees, children and other people in need. Neil the little explorer is the first of a smart toys family; Neil helps parents raise their children in a smart way. PHEE challenges conventional materials in cost effectiveness, customer satisfaction and global footprint – PheeBoard, which harnesses the dead leaf of a vascular sea plant, is a worldwide innovation with a natural & patented process. Pushme electrifies bicycle fleets of delivery businesses. A plug & play device converts any bike to electric in seconds and a pick-and-go battery network provides infinite range without downtime. SeaAround is the Uber for boats; they connect captains and chartering companies with travellers who seek to freely travel the sea. Simply POS introduce consumer packaged goods vendors to retail consumers, through their first-of-its-kind retail tech platform thus eliminating the fragmentation of traditional retail channels & taking advantage of cutting-edge technology. Synaphea provide a platform, which works as a front end to blockchain services; they’re also working on a use case, which is a p2p micro-lending platform, powered by blockchain. Workathlon is the new age recruiting solution for hotels; their SaaS platform has vertically integrated recruiting technologies with industry know-how thus making recruiting in the world’s largest employer more efficient and effective. Ziraf are a revolutionary one-stop mobile food search application that only allows trustworthy recommendations.